The RAS Solution: HEC-RAS Version 5.0.1 is now Available! 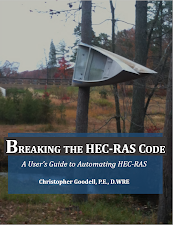 HEC-RAS Version 5.0.1 is now Available! A new "bug-fix" version of HEC-RAS has just been released (5.0.1). A few computational bugs were identified since the release of 5.0, which were severe enough that HEC needed to fix them promptly. 1. Unsteady Flow with Pumps: A pumping station that is connected "From" a storage area had a bug that could generate an "access violation" error. 2. Unsteady flow with rating curves at structures: The rating curves for: inline structure outlet rating curve, lateral structure outlet rating curve, and user defined gate rating curves (both inline and lateral) have been changed so that unsteady will no longer extrapolate past the top or bottom of the curve. A warning will be generated the first time this happens. 3. Unsteady flow with an SA/2D Hydraulic Conn between two 2D areas: There was a bug when a SA/2D connector has a 2D area on the upstream side. This bug would sometimes show up as an "access violation" error. 4. Steady Flow Analysis (Encroachments at Bridges): There was a bug when type 1 encroachments were specified immediately adjacent to a bridge opening. The encroachment was being set to the opening. The left encroachment was set to the left side of the bridge opening and the right encroachment was being set to the right edge of the opening. 5. Unsteady flow with 2D areas/Internal Hydraulic connector: For a hydraulic connector inside of a 2D area, the DSS output for headwater and tailwater had a bug. The reported values were "one cell" away from the intended values. For a connection that was entirely inside of a single cell, this resulted in a reported water surface of "0.0". This was only a reporting issue. 6. 1D Velocity plotting in HEC-RAS Mapper for metric data sets: 1D HEC-RAS Mapper maximum velocity plot was wrong for SI data sets. moved from the 1D river upstream of the location it should have been removing it from. 8. User Interface – Right Bank of Main channel: If you had a cross section with a vertical wall at the right bank of the main channel, the interface was displaying the main channel bank station at the bottom of the vertical wall. The computations were correct, this was just a visual problem in the interface. I have installed the new version and created a terrain with a float (.flt) of a simple geometric channel with vertical walls. Step 1 of 3: Creating Terrain.vrt..."
In prior version of HEC-RAS, the software wouldn't open unless the decimal symbol of the system was set as period. Now in version 5, it opens with error, but the bigger problem is that nothing warns the user about what is causing them. Hope they can make this improvements in future versions! Does HEC-RAS 5.0 allow the actual channel (reach) to be modeled in 2D, or only the area alongside/downstream/upstream of the reach? If not, do you think this is a feature that might be added in the next version? Yes, you can model everything in 2D, if you'd like. 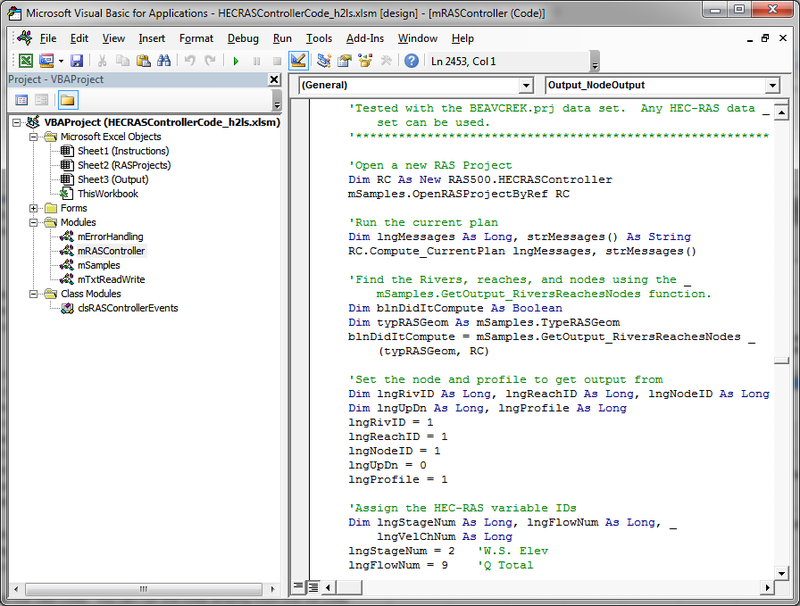 I am still experiencing floodway computation issues in the 5.0.1 version of HEC-RAS in 1D steady modeling. I have a couple culverts in a model that show erroneous velocity heads at the 4 section and the model does not compute any floodway profile information at the 3 section. I updated to the latest version due to the encroachment issue around bridges and have noticed another issue computing floodway profiles around culverts. My results are showing erroneously large EG elevations at the 4 section and no data is reported at all at the 3 section. I submitted a bug report to HEC and received a reply acknowledging there is a bug with floodway encroachments in 5.0.1. They suggest using version 4.1 for floodways until the next update. Thanks Davis for looking into this and sharing with us! I am simulating a tidal marsh connected to the ocean by a couple culverted channels, which I'm representing with internal SA/2D Area Connections. The tidal prism moves out, but not back in! I just discovered that culverts in internal SA/2D Area Connections inside 2D areas cannot support reverse flow; only flow from the HW side to the TW side. I am using a single 2D area to simulate the tidal prism of a saltwater marsh connected to the ocean by a couple culverted channels. When the tidal BC on the TW side of the culverts drop, the prism flows out through the culverts, but when the BC rises again the profile is held at the culverts with no flow coming into the marsh. HEC has just tested this in version 5.0.1 and it does allow reverse flow. Are you sure you aren't using flap gates? I did draw in an object (storage area). Then typed in the boundaries and it worked. I then deleted the bogus storage area. Evidently a blank screen doesn't work. Found out from USACE-HEC that the error was due to where the documents are in the directory. Changed location and the program ran. I am performing a 1D/2D sunny day dam break simulation with v5.0.1. The reservoir is modeled with a SA; downstream is modeled as 2D flow area. The dam (weir) and breach modeled with a SA/2D Area Conn. I received the following message(s) in the simulation starting at about 2 minutes after the end of the breach formation time (1 hr). The error lasted for about 23 minutes and the simulation didn't stop running. Any thoughts as to what may be causing the error? Hi Chris, I have connected 2 storage areas with the SA/2D connector in HECRAS 5.01 to represent a dyke between two reservoirs. After running the unsteady flow model, the hydrograph and stage plot of the connector shows blank with the message " no data to plot". I have tried increasing flow in one of the reservoirs to ensure overflow, but the error still persists. What could i be missing? First, I suggest upgrading to version 5.0.3. Second, make sure that you have selected "Storage Area Connection" under the Type menu item on the stage and flow hydrograph plot. If still there is no data to plot, that means the simulation did not complete (maybe from an instability). Hey Chris, I just noticed something that might be helpfull to others. I was modeling dam breach as an internal structure in a single 2D area (modeled with the 2D area connection). I could not get the dam to actually breach when I used the option to initiate the breach at a certain headwater level. It turns out it matters which way you draw the 2D area connection, i drew mine from the right to left bank and therefore HEC-RAS thinks the downstream area is the headwater. I found this out by using the "plot flow and stage hydrograph" from the main window.